We are proud to announce the arrival of our new Dental Panoramic X-ray machine. We are one of the few dental offices in the greater New Haven, CT area with this modern technology allowing us to see incredible detail while minimizing radiation exposure. Developing treatment plans involving dental implants. Assessment for wisdom teeth extractions. Evaluation of possible oral diseases such as cysts and oral cancer. Use on patients who gag or who cannot tolerate x-rays that go in your mouth. 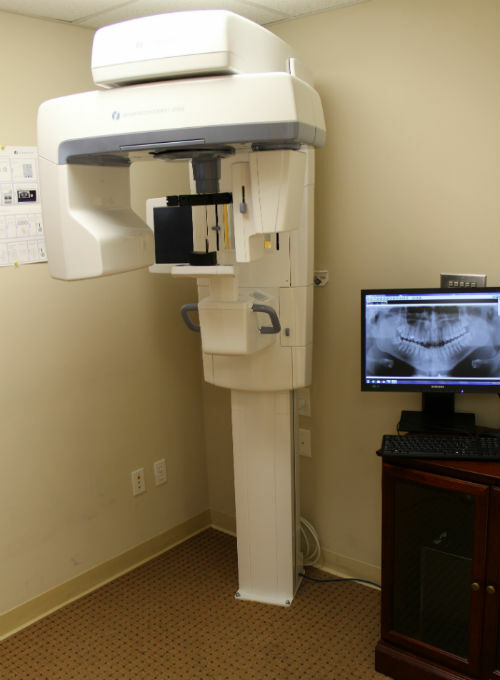 This machine, along with our other digital x-ray technology, is part of our commitment to be the most modern family owned dentist office in all of Orange, CT. Contact us with any questions.